Quite a boss lady look, eh? Stripes make for a very versatile print. One can wear stripes for a casual outfit as much as they can wear them for a formal outfit. Proof? Check out Madhuri Dixit in her striped midi dress. Nailing that pink and blue striped dress, Madhuri looked nothing short of an absolute boss lady. Although the colours of this dress are quite vibrant, the dress itself gives a a very formal look. Which is why we are suggesting you stock up on some striped dresses for work. They look chic, classy, and are very easy to wear. But first, check out Madhuri's attire! 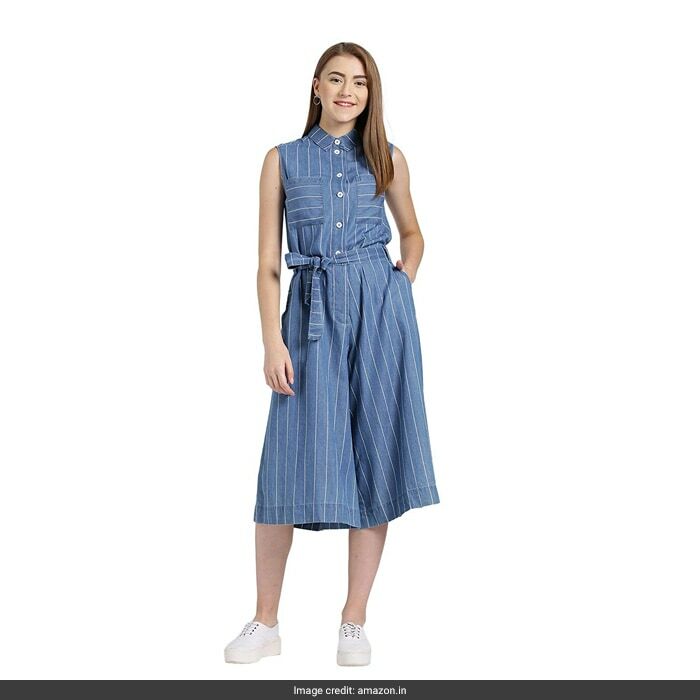 If you want to wear something basic but stylish, this DIMPY GARMENTS crepe striped maxi dress is the piece you should get. Wear this with a black or a bold coloured blazer for the complete look. Priced at Rs 499, you can get this here. If you want to wear blue and red stripes, get this Harpa striped dress. We love the belted waist and the shirt collar that the dress comes with. This dress will work well with a pair of flats. Priced at Rs 499, you can get this here. If dark colours aren't your thing, get this light blue Zink London striped jumpsuit. 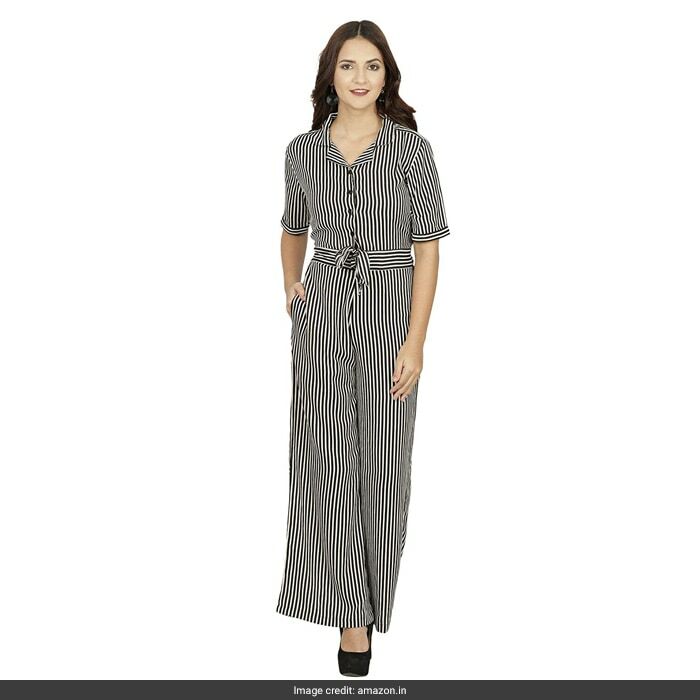 This flared legged jumpsuit will make for quite a trendy work attire. Priced at Rs 1,449, you can get this here. Another trendy and chic jumpsuit you can get for work is this Trend Arrest polyester black striped jumpsuit. Wear this with a black blazer and suede black heels for the complete look. Priced at Rs 899, you can get this here. 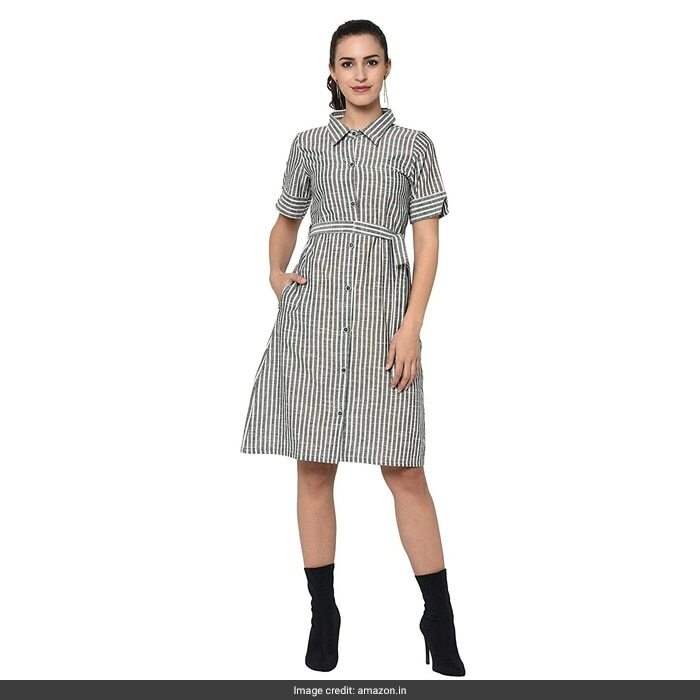 Or you can get this Ayan Fashions black striped midi shirt dress for a if you want something more of a casual look. Priced at Rs 449, you can get this here.